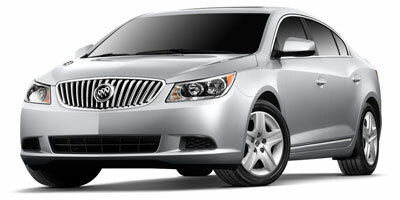 Buick’s out to prove the brand earned its spot as one of the lucky four survivors of the General Motors meltdown. The marque most commonly associated with octogenarians and shuffleboard seems bent on breaking out of its elderly demo by doubling its product portfolio in a few short years. Instead of propagating the same snore-fest parade of beige rides that made up the Buick we all knew as kids, we’re told to expect a bold array of pulse-quickening offerings. Spearheading this effort is the 2010 LaCrosse. Bolstered by the success of the new Enclave (Buick says that model alone lowered their average owner’s age by 10 years), the company is striking out against the likes of the Acura TL, Toyota Avalon and Lincoln MKZ. With smart lines, a gorgeous interior and an available throaty 3.6-liter, direct-injection V-6 with 280 horsepower, the 2010 LaCrosse has the pedigree on paper. 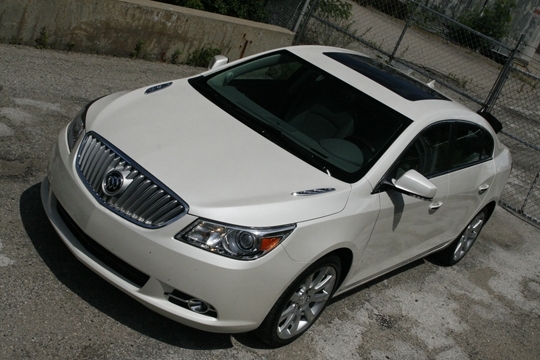 Top it off with an MSRP right at $30,000 and Buick may just have something. Whether it will sell to young bloods with money in their pockets still remains to be seen, however. 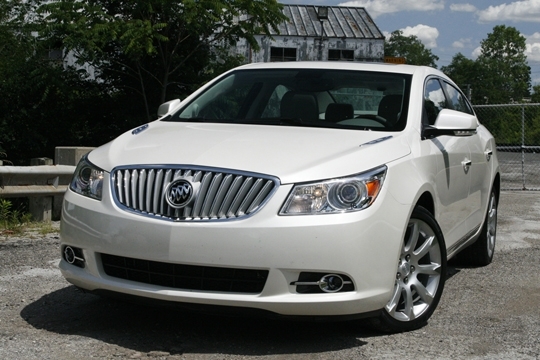 Power from either the 3.0-liter or 3.6-liter V-6 is more than enough to propel the 2010 LaCrosse along. The stylish interior is one part space age, two parts renaissance and all beautiful, and the cabin is one of the quietest of any vehicle we’ve had our hands on. 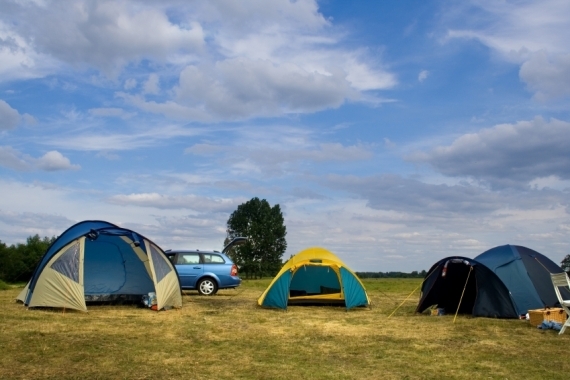 Tricks like the helpful heads-up display and a hard drive that allows you to rewind satellite radio are welcome. Though the highly-stylized door panels are more than attractive, accessing the door handles is a bit awkward at first. Don’t expect any adjustable pedals in the LaCrosse, either, though the telescoping, tilting steering wheel and fully adjustable seats go a long way toward negating their need. The much raved about, fuel-thrifty four-cylinder engine won’t be available until later in the year, either. The most striking thing about driving the 2010 LaCrosse is what’s not there: noise. Buick’s engineers have done an excellent job of isolating and eliminating cabin noise, and the result is a cavernous interior that doesn’t sound like you’re driving an empty 50-gallon drum down the road. Instead, you’re rewarded with an astounding amount of silence, even when fitted with larger 18-inch alloy wheels in the touring package. Despite the quiet, you’re given the smooth crescendo of an exhaust note from either the 3.0-liter V-6 or the more potent 3.6-liter version when under acceleration. Really romp on the throttle, and there’s a surprising amount of torque steer, especially when changing lanes for a pass. Beyond that, the 2010 LaCrosse is beautifully stable thanks to a planted suspension and capable brakes. There’s no lack of power from either available powerplant, either. We look forward to experiencing the up-coming four-cylinder. As of writing, the 2010 Buick LaCrosse is available with a 3.0-liter, direct-injection V-6 engine with 255 horsepower and 217 lb-ft of torque. You can also opt for a 3.6-liter, direct-injection V-6 with 280 horsepower and 259 lb-ft of torque, both of which are coupled to a six-speed manual transmission. A bit after sales begin, we can expect a direct-injection, 2.4-liter four-cylinder engine with 182 horsepower and 172 lb-ft of torque. The 2010 LaCrosse will be available in three trim levels: CX, CXL and CXS. Though the base CX and top of the line CXS are only available as front-wheel drive vehicles, the CXL trim level will offer all-wheel drive. A panoramic sunroof, blind-spot alert system and cool interior LED lighting are all available. You can also opt for heated and cooled seats, articulated HID head lights and gorgeous stitched leather interior. Buick has made a number of tech options available for the 2010 LaCrosse, including a 40-gig hard drive with 10 gigs available for personal media storage and satellite radio with the ability to rewind up to 20 minutes of airtime. Of course, the standard array of navigation, rear-view camera with proximity alert and a rear-seat entertainment system is also available. The EPA hasn’t quite worked out its estimates for the LaCrosse, but Buick is hoping for numbers in the 17 mpg city, 27 mpg highway range for both V-6 models and 20 mpg city, 30 mpg highway for the four-cylinder. The 3.0-liter V-6 models equipped with all-wheel drive should see figures somewhere in the 16 mpg city, 26 mpg highway neighborhood. The ace up the LaCrosse’s sleeve has to be its interior. Fine stitching, beautiful lighting details and an interesting center stack put the cabin well ahead of its predecessor. The backseat delivers plenty of legroom for full-grown adults, but the sweeping roofline provides a tight space for anyone over six feet tall. Despite the short trunk deck, space behind the seats is more than enough for a few bags, and attention has been paid to keeping all of the lid’s mechanisms tucked away and clean. The LaCrosse benefits from a long, sweeping roofline and short trunk deck. A stylized hip line on the car’s flanks helps to break up the rear sheet metal and up front, forward-leaning headlights and hood-mounted ports lend a menacing look to the car’s face. The nose’s somewhat vertical look is due to a pedestrian safety design. 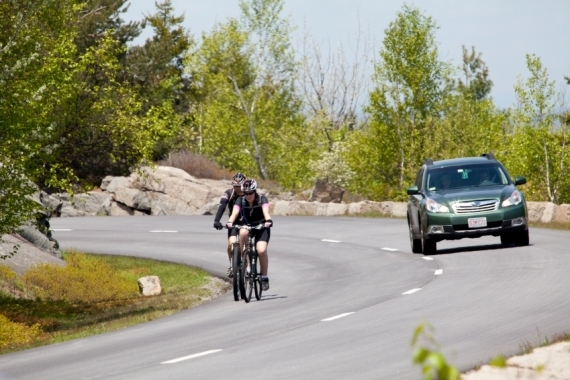 The base 2010 LaCrosse CX starts at $27,835, including destination. The mid-range CXL includes leather seats and 18-inch alloy wheels among other tricks, and carries a $30,395 price tag, while the all-wheel drive model will set you back another $2,175. Finally, the top of the line CXS boasts the more potent 3.6-liter V-6 and starts at $33,765. Those figures line the 2010 LaCrosse up against the likes of the Acura TL at $34,399, the Toyota Avalon at $27,845 and the Lincoln MKZ at $34,115. 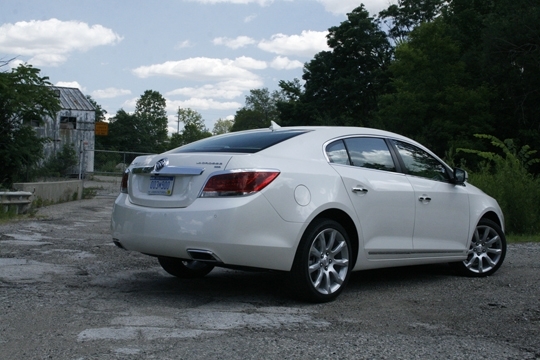 If the 2010 LaCrosse is the shape of things to come from Buick, get excited. While the car will still have a bit too much of a retiree flavor for its younger target audience, it makes a great case for the company’s survival during the throws of GM’s bankruptcy. Plenty of power, a solid ride and an interior that’s as quiet as it is attractive are all strong points. We would recommend sticking with the 3.0-liter V-6 as it provides more than enough horsepower and skips the harsh torque steer associated with the larger displacement engine. Since it carries a lower MSRP in the CXL, it’s also a great deal. 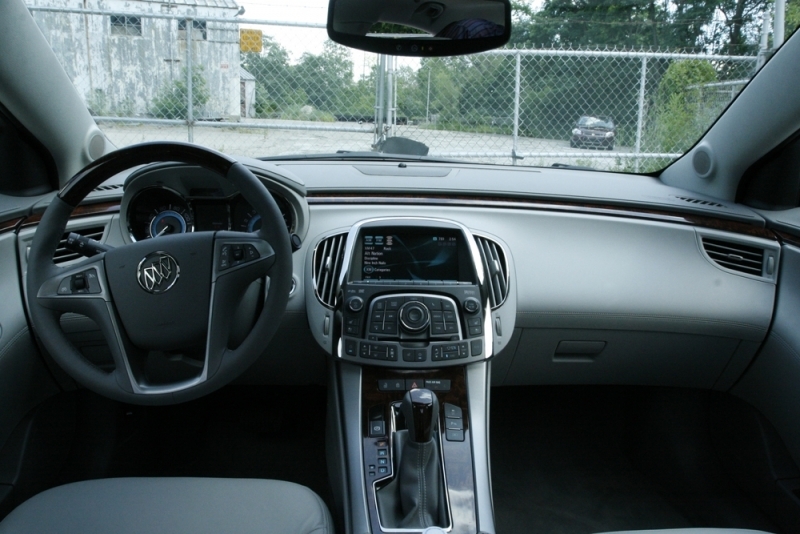 For a full gallery of the 2010 Buick LaCrosse, check out the DriverSide blog here.